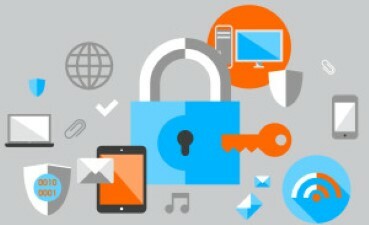 “FIDO has mounted a longstanding campaign to get third party support for its strong authentication standards and expand the compliant device ecosystem, but bringing FIDO2 support to major web browsers effectively brings FIDO support into the Internet’s core infrastructure.” FIDO2 and WebAuthn support has officially arrived on Windows 10, via the operating system’s October 2018 update. The update brings unprefixed support for WebAuthn to the OS, meaning that Windows Hello, the operating system’s built-in biometric security system, can now be used for authentication in the Microsoft Edge browser. In other words, Windows 10 users can log into compatible websites using facial recognition or a fingerprint scan. Alternatively, a FIDO2-compliant security key can also be used for authentication through the browser. It’s a big victory for the FIDO Alliance and its authentication standards, with the organization’s Executive Director, Brett McDowell, having emphasized the major browsers’ support for FIDO2 and WebAuthn at last week’s Money20/20 event in Las Vegas. FIDO has mounted a longstanding campaign to get third party support for its strong authentication standards and expand the compliant device ecosystem, but bringing FIDO2 support to major web browsers effectively brings FIDO support into the Internet’s core infrastructure. Other new features of Windows 10 include control over media autoplay, an improved Reading Mode, a refreshed menu interface, and a number of smaller updates for developers working with the operating system.